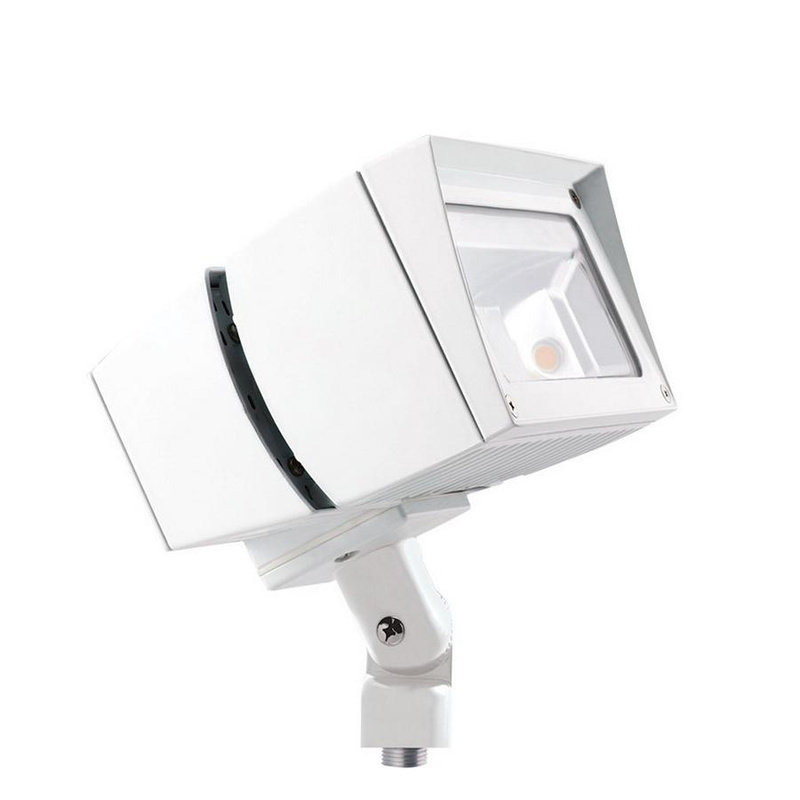 Rab Future Flood Series LED Floodlight fixture in white color, features thermal management housing that ensures superior heat sinking with external airflow fins. This LED floodlight fixture featuring specular vacuum-metalized polycarbonate reflectors, has one 39-Watt ultra efficient LED lamp to offer 3644-Lumens of light output. The 82-CRI lamp has a color temperature of 3000K. It has voltage rating of 120 - 277-Volts. This rectangular shape LED floodlight fixture has power factor of 0.99. It measures 7-1/2-Inch x 10-Inch.